Take time to read through some of the most frequently asked questions we come across in daily practice. My gums bleed when I brush and floss and I think I should hold back on brushing and flossing until the bleeding stops? 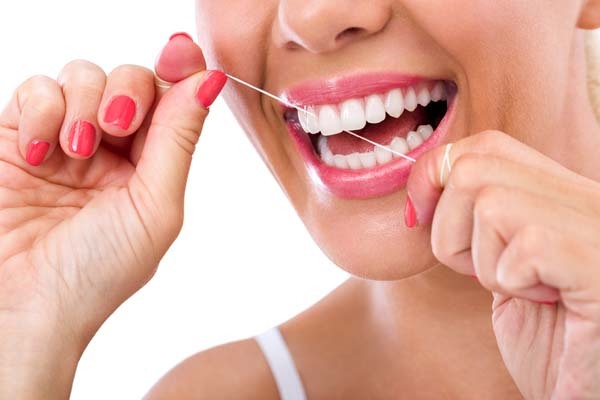 Bleeding gums are a sign of active gum disease called gingivitis (inflammation of the gums / gingiva), and is caused by the build up of dental plaque along the gum line and in-between the teeth. The dental plaque contains acids, enzymes and toxins that irritate the gums and initiates an inflammatory reaction. Part of this reaction is for the gums to become very hyperaemic, meaning more blood flow to the gum area trying to combat the irritation. The result is puffy, red and friable gum tissue that bleeds on touching. My dentist says I need a crown, but I think he is just building a new bach. What should I do? It is quite possible your dentist may be building a new bach, but that is not the reason you need a crown. Despite the rapid progress that has been made in the last decade regarding filling materials which can be placed directly in the mouth, these materials when placed in large cavities do not have the suitable properties and strength to withstand the chewing forces and forces of parafunction (Clenching, grinding). The biting forces exerted by the molars are between 390-900N which equates to 40 - 92Kg's of force. I have recently had a very large filling replaced. Prior to this I had no pain, but now I have pain to hot and cold on the new filling. What is going on? Bonded dentistry, depending on how deep the filling is, can cause a reversible pulpitis with the nerve of the tooth. 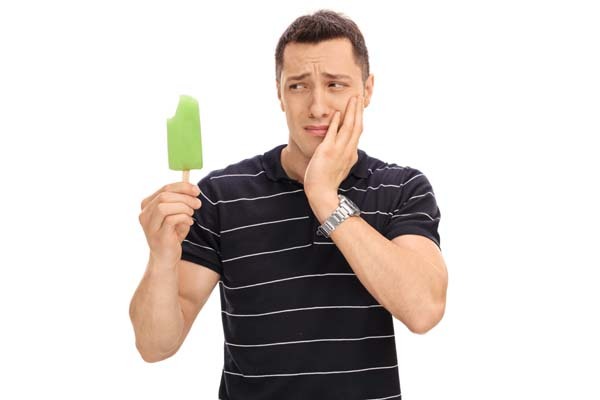 This pulpitis which is reversible by nature, causes the tooth to be over-responsive to temperature and this normally goes away on its own within 24-36 hours. 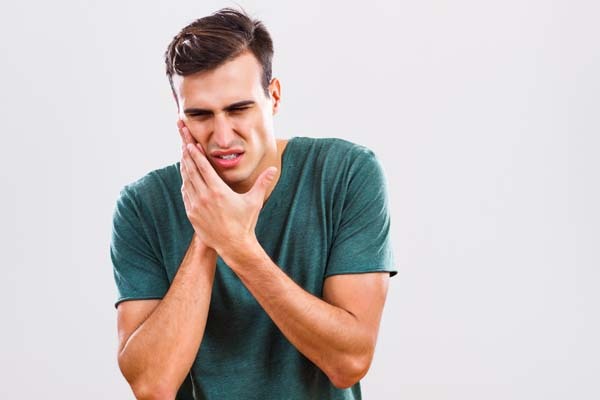 Another cause of this problem can be that the tooth may be high in the bite, which would be causing occlusal trauma and similar pain. Once the bite is adjusted the pain will go away within 2-4 days. I have been going for regular check-ups with my dentist and have had no toothache for years. At my last check up my dentist told me I need a root canal filling! How did this happen? 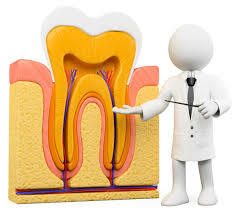 A root canal (or endodontic treatment) is indicated in cases where a tooth's nerve has died or is dying and the root canal space has become infected with bacteria. The problem is, not all nerve death is accompanied by symptoms, and studies show that up to 60% of nerves can die without the patient even realising it. The causes of nerve death are variable but the end result is the nerve space becomes infected with bacteria. These bacteria proliferate and track down the root canal until they reach the jaw bone which then also becomes infected. Last time I had a professional cleaning with the hygienist my teeth were very sensitive for a couple of days and I was worried they had been damaged by the process? The ultrasonic instruments and hand scalers used by the Hygienists are very safe and when used correctly cannot damage the tooth surface. The reason there is sensitivity for a few days after a cleaning is that the build up of plaque over the months, turns hard and forms calculus (dental stone) and it is this calculus that coats the root surface of the tooth along the gum line. ​Removal of this stone during the cleaning process results in the exposure of the root surface to the oral environment and this exposed surface will be hypersensitive to cold air and water for a few days until the flouride in the toothpaste or the ingredients of a paste like Sensodyne or Tooth Mousse seals off the tubules, leaving the teeth in a normally responsive state. My friends are all using Tooth Mousse, but I've never heard of it! What is it, and what does it do? 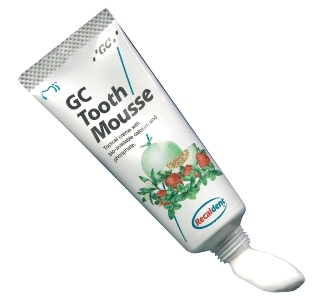 Tooth Mousse has been on the market for over the past 10 years and is only sold at dental surgeries as a tube of white paste in four different flavours. Although it is a paste, it is not used with a toothbrush like normal toothpaste, but is rather applied by placing a pea sized drop on your finger and rubbing it all over your teeth. This can be done as often as one likes during the day, but is most effective when used at night just before going to bed. After normal brushing, the paste is applied as described and then flossed between all teeth. Spit out the excess and then off to bed. The Tooth Mousse is non toxic and the only contra-indication to it's use is if you have a milk protein allergy.